Our Systems make it easy for agents to connect with buyers and sellers. 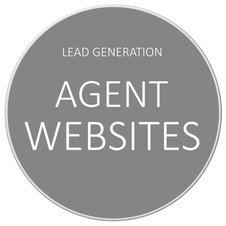 TO COMPETE, EVERY AGENT NEEDS A FULL FEATURED, UNLIMITED PAGE, IDX/CRM LEAD OPTIMIZED WEBSITE. WE PROVIDE ONE AT NO COST TO OUR AGENTS. BONUS: WHILE SOME COMPANY PROVIDE AN AGENT A WEB PAGE OR SITE THAT'S HOSTED WITHIN THEIR COMPANY SITE, EACH ALL STARS AGENT WEBSITE IS INDEPENDENTLY HOSTED. THAT WAY, SEARCH ENGINES FIND THEM, EXPLORE THEM, RANK THEM, AND DIRECT CLIENTS TO THEM! AND Should an agent MOVE TO ANOTHER AREA, THEIR WEBSITE (with all its mapped seo) CAN MOVE WITH THEM! (Agents no longer associated with Realty World ALL STARS will then be responsible for the website costs and technical support). ALL WEBSITE LEADS WILL BYPASS OUR COMPANY AND GO DIRECT TO OUR AGENT. WE BELIEVE YOUR LEADS SHOULD BE YOUR'S TO KEEP... NOT MONITORED, REASSIGNED, OR HARVESTED BY THE BROKERAGE. USING CLIENT TRACKING FEATURES, OUR AGENTS CAN QUICKLY DETERMINE WHICH LEADS ARE SERIOUS AND WHICH ARE OF LOW PRIORITY. AGENTS SAVE TIME BY WORKING THE HOT LEADS AND GENTLY NURTURING THOSE NOT YET READY TO MOVE. SELLERS ARE IMPRESSED WHEN YOU OFFER THEM A WEBSITE THAT UTILIZES THEIR HOME ADDRESS AS PART OF YOUR BASIC MARKETING SERVICES. SEARCH ENGINES LIKE IT, TOO. 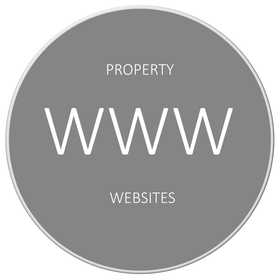 WE CREATE A MINIMUM OF THREE SINGLE PROPERTY WEBSITES FOR EACH LISTING AND THEN SYNDICATE THEM TO WEBSITES AND PORTALS. HOOK THEM UP WITH YOUR FREE BRANDED PROPERTY INFO AND SEARCH APP. MOST CLIENTS ARE BETTER SERVED WHEN WE UTILIZE PROFESSIONAL ARCHITECTURAL PHOTOS IN OUR MARKETING. OUR AGENTS SCHEDULE A PROFESSIONAL PHOTO SHOOT FOR ALMOST EVERY LISTING THEY TAKE. WE HELP OUT BY REBATING THE PHOTOGRAPHER'S COST AT THE CLOSE OF ESCROW. 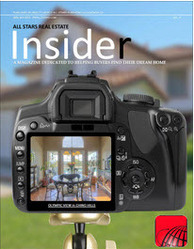 ALL WE ASK IS THAT OUR AGENTS REMEMBER TO SUBMIT THE PHOTOGRAPHER'S INVOICE TO OUR ESCROW DEPARTMENT BEFORE THE CLOSING. AND WE MAKE IT ONLY FOR OUR ALL STARS AGENTS. WE DO NOT CHARGE OUR AGENTS AN ADDED FEE FOR THIS CUSTOM DESIGN SERVICE. HOMES MARKETED WITH VIDEO RECEIVE PRIORITY SEARCH ENGINE TREATMENT. WE DISCOVERED THAT WAY BACK IN 2007, SO WE'VE BEEN MAKING HOME VIDEOS EVER SINCE! NO FEE, NO WORK, AND OUR AGENTS KEEP THE LEADS. EACH VIDEO IS GEO TAGGED FOR LOCATION SEARCHES AND UPLOADED TO YOUTUBE AND OTHER INTERNET LOCATIONS. WE ALSO CREATE VIRTUAL TOURS TO USE IN THE MLS AND ON OUR SINGLE PROPERTY WEBSITES. 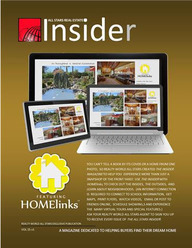 BUYERS AND AGENTS ACCESS PROPERTY INFORMATION THROUGH MANY DIFFERENT DEVICES. SOME USE MOBILE APPS AND MANY USE WEBSITES. IT IS IMPORTANT FOR HOMES TO LOOK THEIR BEST ON EVERY TYPE OF DEVICE A BUYER MIGHT USE. GOOGLE NOW RANKS WEBSITES ON THEIR ABILITY TO HANDLE MOBILE DEVICES. ALL OF OUR INTERNET MARKETING IS MOBILE RESPONSIVE. 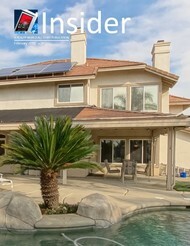 WE CALL IT THE INSIDER miniMAG. 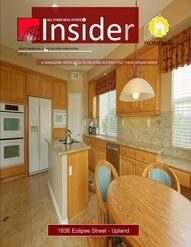 EACH miniMAG FEATURES JUST ONE HOME. IT IS PUBLISHED ONLINE AND IN AN OPTIONAL PRINT VERSION TO USE AT AN OPEN HOUSE, AS CLOSING GIFTS TO THE SELLERS AND BUYERS, SALES TOOLS, AND MUCH MORE. IT IS THE PERFECT VEHICLE TO SHOWCASE A HOME'S ARCHITECTURE CAPTURED BY YOUR PROFESSIONALLY STAGED AND SHOT PHOTOGRAPHS.